If you visit a bookstore where religious books are sold and look for books on Hinduism, you will find a number of divergent books. You may not know as to which one is the main text and which is not. Hence, it is necessary to know which are primary and which are secondary. We do not have a single text attributed to a single prophet, as in other religions. Instead, we have several works which were revealed by sages over a period of time. As I mentioned in the introduction, Hindus regard three texts as their primary texts – the Vedas, the Brahma Sutras and the Bhagavad Gita. The Vedas: The most ancient and primary texts for the Hindus are the Vedas. The time of their composition is uncertain. Traditionalists even today maintain that the Vedas are directly revealed from the Supreme Being, called Brahman. But it can be reasonably established that they were revelations of several ṛṣi-s who had left their families, retreated to jungles and contemplated about the mysteries of the universe with an unbiased mind. It was a time when there were no rigid boundaries for the countries as we see now, and it appears that they were composed at five to six thousand years ago. It is undisputed that the Rigveda is the oldest human document available. The language used is Vedic Sanskrit which is fairly distinct from the classical Sanskrit. The antiquity of Vedas was never in question till the Europeans came to India. Several European scholars started studying Vedas in addition to the whole mass of Sanskrit literature. Their writings had profound impact on the European thought process. A recent book, ‘American Veda’ by the American writer Phillip Goldberg makes an interesting reading. It traces the impact of Indian philosophy on the West starting from Schopenhauer (the German philosopher of seventeenth century) till modern day. (The book is a compulsory reading for every Indian scholar). The European scholars like Max Muller were bewildered by the sheer volume and depth of Indian philosophical thought. It was not similar to what they encountered in other colonial countries. Their first problem was to fix the time of composition of the books. They could not accept the Indian view that the Vedas were composed thousands of years ago, as the Biblical scholars and religious heads like Bishop Ussher had established that God created the Universe in 4004 B.C. and nothing on earth could be dated prior to that. They accepted the Biblical chronology and so they had to map all other cultures and societies on the Biblical time scale. With all this, there is some agreement now amongst scholars that they were composed during the period between 2000 and 1500 B.C. The initial portions of these Vedas contain lyrical eulogies for different deities. Along with these are described certain rituals called ‘yajña’ in order to propitiate these deities. In addition, there are forms of meditation on various deities. All these are at one level which is traditionally called the karma kānḍa, i.e. the portion of Veda which deals with Gods and rituals and what we now call religion. This is what is referred to as the lower level of truth or empirical reality. It is the end portions of Vedas which were the cause of serious interest among philosophers all over the world. These end portions are called Upanishads, and their teaching is called ‘Vedanta’ – ‘anta’ meaning ‘the end’ or the final word of the Vedas. This is what is referred to as the higher level of reality or absolute reality. These portions of Vedas are deliberations in what is now called philosophy. The subject matter is not social philosophy or political philosophy as we see in the West, but the deliberation is on the nature of the Supreme Being, the nature of creation, the nature of human, mind and senses. The final startling conclusion of the Vedas is that the individual and the Supreme Being are essentially one and the same. 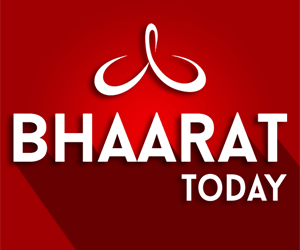 Brahma Sutras: Vedas, we know, were composed over a period of a few centuries in different parts of the country. Though the central philosophy is the same, the language and expression differ in them. It was necessary to explain certain apparent contradictions and demonstrate a unity of thought in the Vedas. The Brahma Sutras do this job. These are aphoristic statements (sūtra-s) discussing important issues in philosophy and also religion. For instance, they discuss whether god can be a personal god or impersonal entity. They also discuss whether there are several gods or one and whether we have to worship all gods or any one. This book is for rather advanced students as it has serious philosophical discussions. Bhagavad Gita: This is the most important for Hindus. The first thing we have to know about it is that it is not an independent text, but a small portion (700 verses) of the mighty epic Mahabharata (100,000 verses). This epic deals with the great battle between two groups of royal kinsmen, ‘Kauravas’ and ‘Pandavas’. It is encyclopedic in nature. It has several long passages about statecraft, about morality, about religion and about philosophy. Bhagavad Gita is one philosophical passage. It is a compulsory reading for every Hindu, if one desires to have an idea of the central doctrine of the Vedas. A traditional verse has metaphorically compared all the Upanishads (the end portions of Vedas) to cows, Lord Krishna, the narrator to the milkman and Arjuna, the listener, to the calf. While the calf is the immediate beneficiary of the nectar called Gita, we are all the incidental beneficiaries. We are going to know about Gita in an exclusive chapter. 5.2. Secondary texts: –Iitihāsa and Purān a. The Vedic sages had a scheme for transmission of knowledge. They gave the core texts in the form of Vedas. As the philosophy of Vedas (Vedanta) is not easily understood by all, they wrote popular texts to spread the message of Vedas. These popular texts are the itihāsa and purān a-s. These are the secondary texts. ‘itihāsa purān ābhyām vedam samupabṛ hayet’. ‘The message of the Vedas has to be popularized through the itihāsa and purān texts’,a it says. If Veda were to be compared to a text of law, the above secondary texts can be compared to the studies in case law. For instance, if the Veda says ‘satyam vada’ (speak truth), the secondary text gives several examples of people who implemented this injunction, and how they came out successful in spite of facing several problems during the course of such implementation. The Upanishads are called the śruti while the secondary texts are called smṛti. The latter follows the former like a faithful follower, says Kalidasa, poetically (Raghuvamsha 2-2). The primary texts can be compared to the software of religion and the secondary texts its hardware. It is these secondary texts which were followed by the society and which created the ethical edifice of religion. The epics like Ramayana, Mahabharata were called as itihāsa (closer to historical narrations) and the mythological tales were called purān a-s. Rama of Ramayana and Pandavas of Mahabharata could have been historical characters whose history was glorified in the epics called itihāsa. They were called avatāra-s, the reincarnation of God. The purān a-s, however, are many in number and they belong to different traditions of worship. 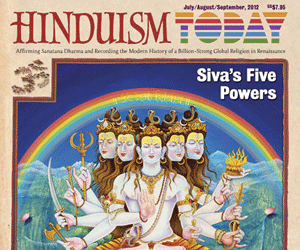 Some extol Shiva as Supreme, some extol Vishnu as the Supreme and some others extol Shakti. They give a picture of various deities who were being worshipped in different parts of the country, as we saw above. Later day sages of purān a times seem to have brought the belief systems popular in different parts of the country under the umbrella of Upanishadic thought. They did a great job of harmonizing different systems. They also blended the mythological symbolism with the philosophy of the Upanishads. The mythological tales called purān a-s have something more to offer. The Vedas and Upanishads postulate the philosophical concepts. These concepts are told in the form of allegorical tales by the purān a-s. Though secondary in nature, these are very important from the point of view of value building in society. The family values and social values are still intact in the Indian society because of the hundreds of stories from Ramayana, Mahabharata and the purān a-s, which have gone into the collective memory of even illiterate villagers. These secondary texts played an important role in keeping the society together even when the Hindu society was under severe attacks in the last one thousand years. However, in case of doubt on any philosophical concept, we have to go to the primary texts and not to the secondary texts. If we can gather a group of intelligent people and give an assignment to come up with an idea of what could be God who would have created this universe, they could come up with the following three scenarios. This is the basic level of thinking where God is someone who is infinitely more powerful than everything in the Universe, that he is having a form like Vishnu, Rudra or Durga and that his or her abode is up above in the skies, or that he or she would punish the wrong doers and reward the good and so on. Here, the God is having a form and some attributes, in other words, some functions. Vedanta calls it ‘sākāra (‘with form’) and sagun a’ (‘with functions’) level. This is a slightly improved level. Here God is someone for whom we cannot think of any shape, but he is an infinitely powerful being and he has the functions of rewarding the good and punishing the bad. In other words, he is a ‘nirākāra’ (formless) but sagun a (with functions). This is the level at which all religions end. The western religions talk of a formless God, but of one who has all the above functions. Among the Indian schools of philosophy, the logicians (called tārkika-s), the ‘sāṅkhya-s’ and the Patanjali yogis believed in such a concept of God. The third group which says so, is thinking on the lines of the sages of the Upanishads. Upanishads say that what we call the Supreme Being (God) cannot be something saddled with the mundane supervisory activity of the world. They further say that the Supreme Being cannot be something which can either be called a male or a female or that it is in a human form. This being, whatever it is, cannot even be the something which is creating and maintaining the universe, drawing up some rules and regulations for all the celestial bodies to move in their orbits, and rules for humans to follow. If that entity were to have all these duties, then it would be somewhat like a cosmic super-cop. God cannot be someone who is fond of a chosen tribe and who is punishing the other tribe like a group leader. Taittiriya Upanishad says. It is not a Being or a person as we conceive at the first two levels. These three words need some explanation. Satyam is something whose existence cannot be negated or denied in past, present and future. All things in the world undergo change and decay. The human life is for mere hundred years and the life of the planet earth is only for a few more million years. This universe itself was not there a few billion years ago. But this principle called existence was always there even prior to the origin of the universe. In fact, the concept of time is associated with events and hence time is an appearance in that Existence, which precedes time. Existence of all beings and things is only a reflection of this Supreme Existence. Jñānam means consciousness or intelligence. It does not mean that God is all knowing, but it means that it is of the nature of intelligence, whose intelligence is reflected in all beings. Anantam is infinitude. There is nothing which can be outside of it. The nearest example is space, which pervades the whole universe. Vedanta says that even space is an appearance in that Supreme Being, which is here denoted by the word infinitude. What all we see is pervaded by It and not apart from It. It is thus clear that as per Vedanta the ultimate reality is neither a man nor a woman nor is it in a human or any living form. It is of the nature of existence, consciousness and infinitude. The principle of existence is all over the cosmos. Everywhere we see things and say ‘this exists’ ‘this exists’ and so on endlessly. There is a principle of existence which is underlying all things we see. Likewise, the whole cosmos is permeated by consciousness, in other words, intelligence. Consciousness is manifesting along with existence in all things we see whether they are sentient or insentient. The human mind is said to be a smart ‘reflector’ of this consciousness in comparison with all other things. In fact, the human being himself is called a reflector of this consciousness. The next attribute for the ultimate reality is infinitude. Existence and consciousness are all pervading. What all we can conceive and beyond that too is that ultimate entity. For the purpose of usage we have to give some name to this Supreme Being. Vedanta calls this entity Brahman. The word literally means ‘infinitely expanding’. This Brahman is referred to in neuter gender. We refer to it as ‘It’. What all universe we see should obviously be the creation of this entity, one naturally presumes. If Brahman is such formless and nameless entity, what is the status of Vishnu, Shiva, Shakti and other deities? This we shall know in the following chapters. If we look at the world religions, they usually talk of a formless god, but the god is a male, so human, so partisan to his chosen tribe and so jealous that he punishes those who worship any other deity. He also creates man in his own image. He sends believers to heaven and non-believers to hell. It is to the credit of our ancient sages that they analyzed this issue dispassionately and proposed the above concept of Brahman. Part 4 (7 & 8 Chapters) will follow next week. 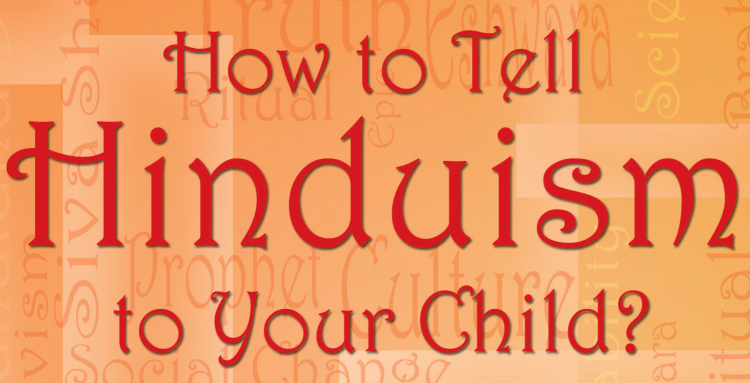 * Dr. K. Aravinda Rao, IPS, the author of the book “How to Tell Hinduism to your Child?” holds PhD in Sanskrit. He had a distinguished career in Andhra Pradesh holding a number of positions in the safety and security departments. He was appointed as Director General of State Police in 2010 and retired in 2012. He also worked as the Additional Director General of State Intelligence Department the Additional Commissioner of Police, Hyderabad, Inspector General of Police (Greyhounds) and IGP (Crime Investigation Department). Global Hindu Heritage Foundation was very happy to receive his permission to share the book to our readers. We will be send two chapters at a time so that it would allow the readers and the students to digest the material before they receive the next set of chapters. “The present book is to give the modern students and parents an appreciation of the statute philosophical inquiry, universal values, and pluralism of Hinduism and enable them to look at their own religion with esteem in the present competitive environment.” Please enjoy reading the book.